Wholesale pallet of cookware, bakeware, small kitchen appliances, electrical and non-electrical from major retail store. Approx. 23 Pieces. Mixed models and brands. Perfect for all types of resellers. 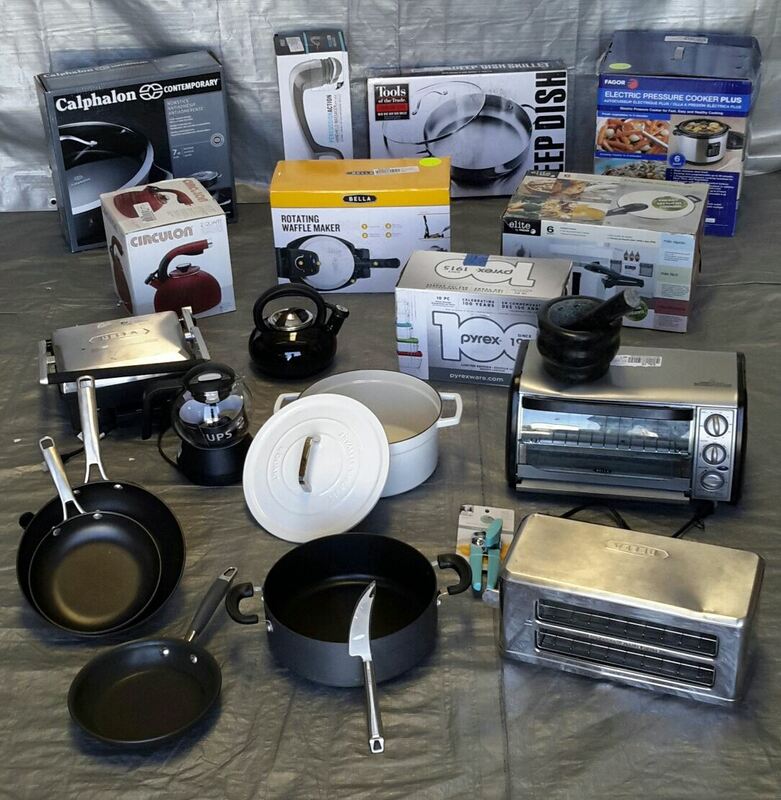 Click the button below to add the Wholesale Lot of 23 High End Small Kitchen Appliances, cookware, bakeware and MORE #2 to your wish list.